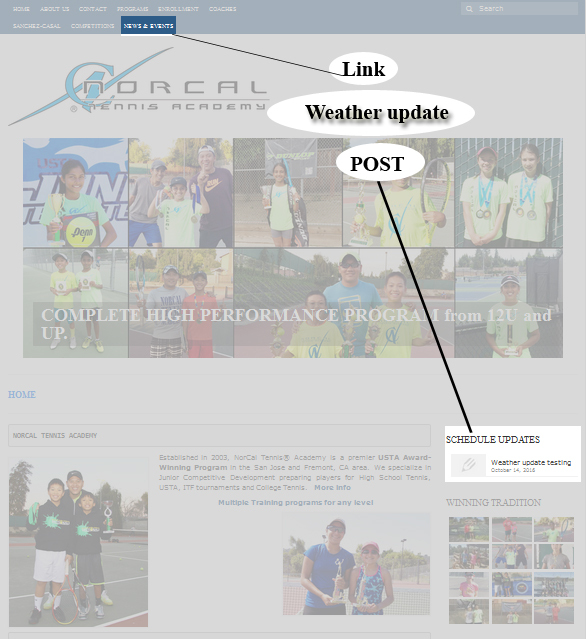 A post will automatically appear on the right-hand column (of any website page) for updates. 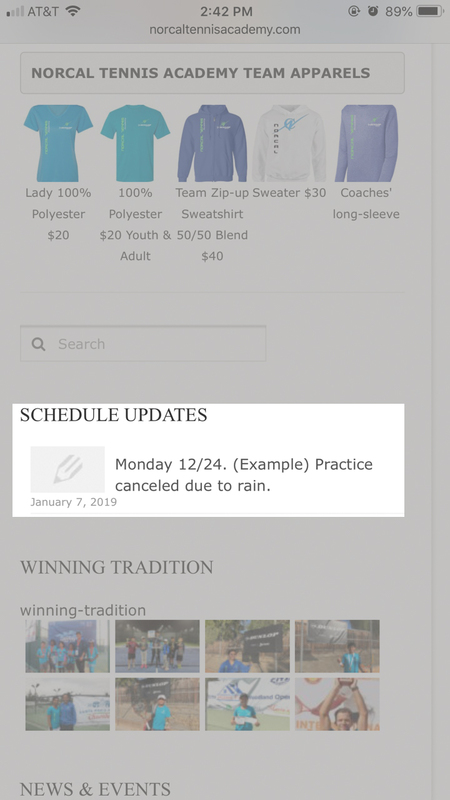 You can also access this by clicking on the NEWS & EVENTS Link , then Practice Schedule Update. It is best to check our site 30-45min prior to the start of your session. If you don’t see any weather update, that simply means we will have practice as usual. If rain comes just right before practice starts, we will of course update it immediately. 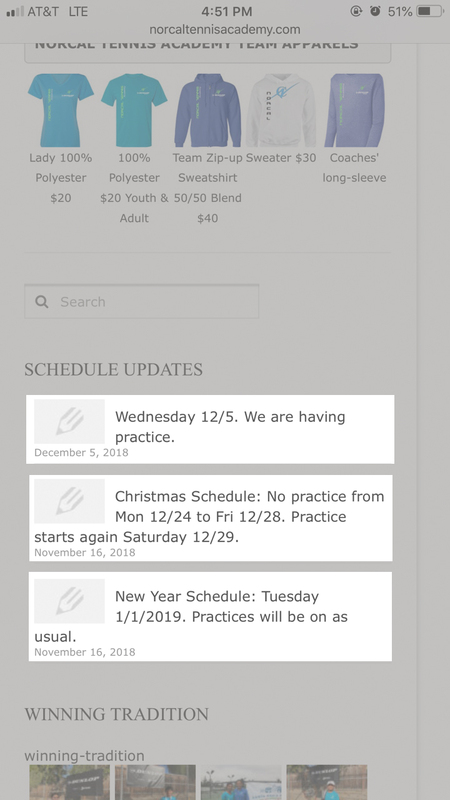 At our homepage (or any page), you can scroll down about 2/3 of the way on your mobile devices to see update. Here is an example. Holiday or special schedules will also be posted at the same location on our website.